As a kid I played with Weebles. You probably know them best for the tag line, Weebles Wobble but they don’t fall down! I had the racer set. For some reason I always wanted the green racer to win. Poor thing never did. 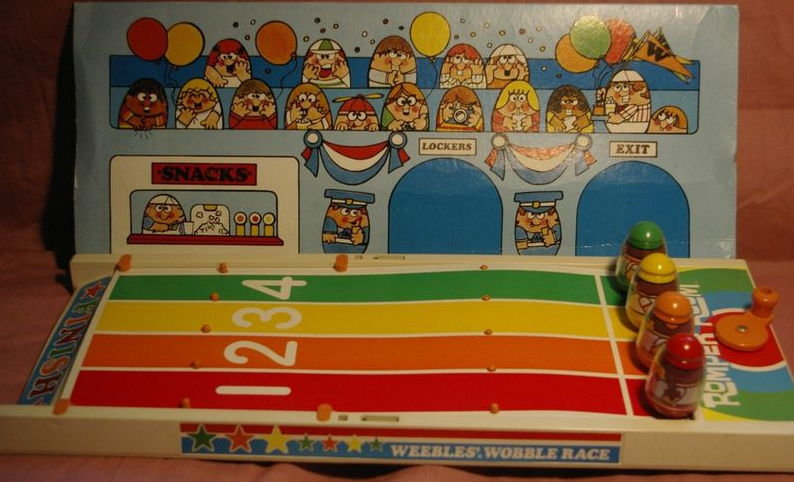 Guess he was more Weeble than Wobble. I wish businesses would learn how to play again. Everything is so serious these days. It’s like the recession has been permanently etched onto our collective foreheads. Eventually, we’ll escape the clutches of this recession. All I ask is that you have fun. In the meantime enjoy life and don’t forget to play. That may be just the thing to carry us from this nonsense. Previous Previous post: How I Won a Ninja! Next Next post: Why my I don’t need a printer. (Neither does my MacBook Pro).